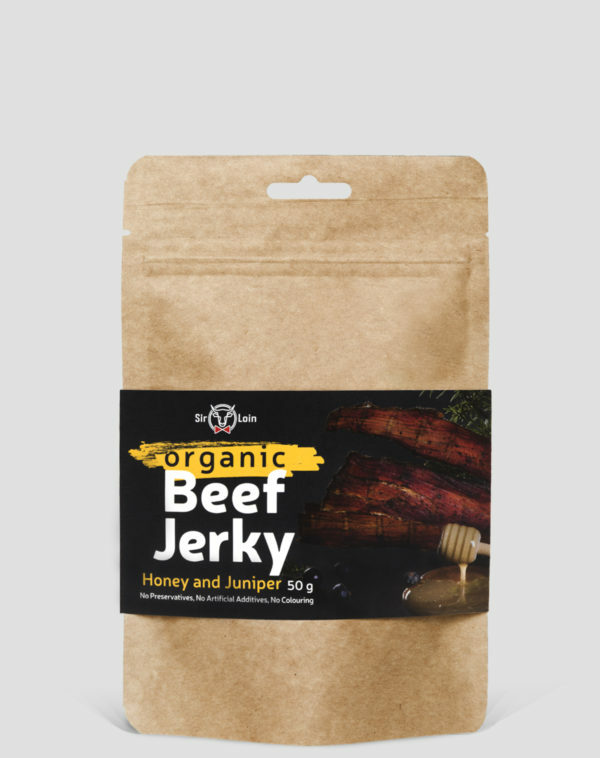 Beef jerky with a scent of juniper characteristic of Estonia’s coastal areas, complemented by the sweetness of organic honey, creates a unique flavour combination. This is a great choice for people eager to try new and exciting tastes. Ingredients: organic beef* (made with 286g beef per 100g), honey* (12%), soy sauce* (water, soybeans*, salt), Worcestershire sauce* (vinegar*, sugar*, grape and blackberry juice concentrates*, spices*, herbs*), salt, juniper berries* (0.5%), black pepper*, garlic*. 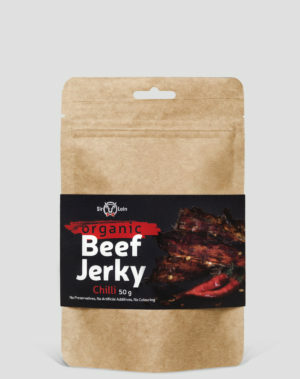 Average values for 100 g of product: energy 1173 kJ/277 kcal, fat 3.5 g, of which saturates 1.5 g, carbohydrates 6.4 g, of which sugar 6.3 g, protein 55 g, salt 2.5 g.